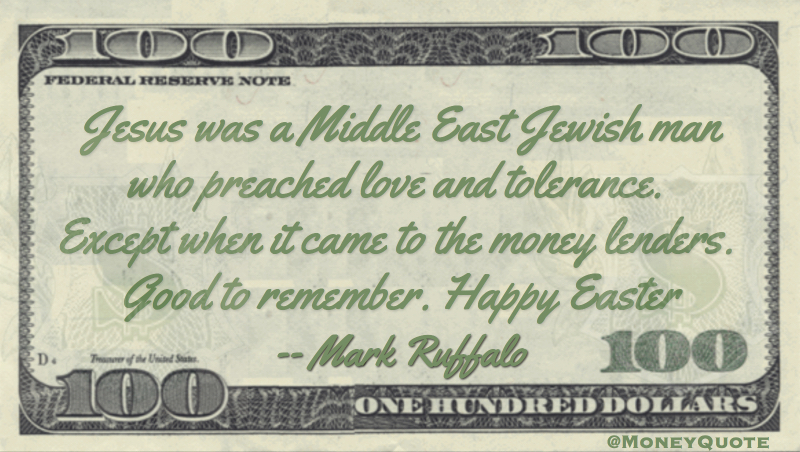 Jesus was a Middle East Jewish man who preached love & tolerance. Except when it came to the money lenders. Good to remember. Happy Easter.